Breaking through the pathetic embargo of the Doritocracy, Infinity Ward's executive producer Mark Rubin decided to just come clean about the situation involving the Xbox One's resolution of Call of Duty: Ghosts, and it's been confirmed that the system can only handle native 720p compared to the PS4, which is running native 1080p. While "gaming journalists" whine on Twitter about stupid stuff and fail to drop truthbombs like it was their business, at least Infinity Ward's Mark Rubin isn't letting Microsoft's political media games get in the way of business (opposite of the Doritocracy). Ahahaha. Xbox Fail. Xbox Done. 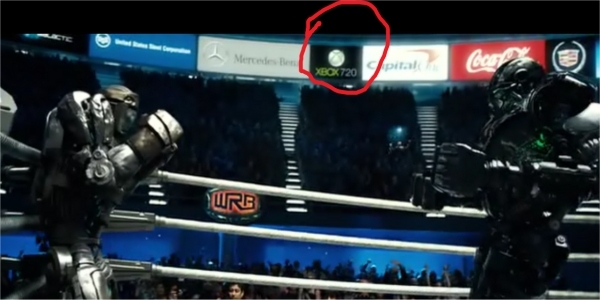 Xbox 720p confirmed. Yeah, kid, sorry, that was during E3 where all the cool looking games for the Xbox One were basically running on high-end PCs. Also, high-end PCs are basically confirmed for anything that was supposed to be on Xbox One at E3 that was running 1080p at 60fps... simply because the Xbox 720p can only handle 720p. I'm betting Microsoft's PR crew in the Xbox division are just melting under the radioactive fail right now. I wonder how much Microsoft will spend to have reputation managers pretend there's something worth salvaging for the Xbox One? I can't even imagine an Xbox fanboy being able to come up with a decent rebuttal without being drowned by the salt of his own tears. The thing that makes this so bad is because it follows on the news that Battlefield 4 was also downgraded to 720p for the Xbox One and it verifies the longstanding rumor that Call of Duty: Ghosts was 720p all along for the Xbox One. That's not to mention that Ghosts is one of the least next-gen games for next-gen consoles, it's like an Audi TT trying to pass off as a legit racing car in Le Mans under the GT class when it knows it doesn't have a neckbeard's chance of winning the race, just like Tim Tebow trying to be a real football player in the NFL. Not a chance. Call of Duty: Ghosts, with its next-gen fish AI and Lassie dog storyline can't even run native 1080p on the Xbox One, and it's not even a real next-gen game! Man that is just an epic fail. But here's the thing that really makes this news pop and pop hard: The Wii U now officially has way more native 1080p 60fps games than the Xbox One. You know what makes this even worse, is that Call of Duty: Ghosts on the Wii U will be more 1080p next-gen than the Xbox One. Wow. The Xbox 720p is just done... done. Microsoft lost to Nintendo on the power and graphics front and Nintendo has a weaker console! So. Much. Fail.